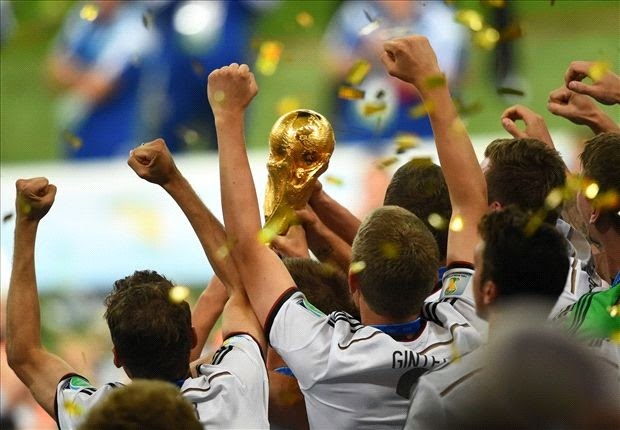 AFTER Germany defeated Argentina in extra time of the final of the World Cup, not only did they get to hoist an 18-carat trophy, but they also hauled off a cool $35 million. It’s fitting that the largest prize in World Cup history was distributed in the most expensive World Cup in history. Spain, winner of the 2010 World Cup, received $30 million. That money is the only thing Germany get to keep (except for bragging rights) since the expensive trophy stays with FIFA and teams are given a cheaper replica. Argentina received $25 million as the runner-up, which is up from $24 million in 2010. The Netherlands earned $20 million for finishing third and Brazil earned $18 million for fourth place.